3 Easy DIY Fancy Dress Costumes. It’s that time of year again mums and dads! The painful time when your kids want to dress up as something that you can’t possibly find at a costume shop. AKA Book Week! This year was made extra painful by the fact I only realised at lunch time the day before, that I TOO had to dress up for work! So I needed something we could whip up in one evening – these are the results. I needed to be able to sit and write in my costume, so a cardboard front was not going to work. As poorly demonstrated in the photo, the body took its square shape while I held my hands up, which is all I needed for the parade part of the day. So it worked well. I simply worked out the length I wanted it, doubled it over then brought one corner across to make a right angle triangle. Cut away the excess and the hard part is done! Then it was simply a case of drawing on the face and cutting a slit for the head hole. My ‘weights’ are old rope reals that we happened to have in the garage (for storing Christmas lights) and the hat was $2 from a junk shop. Lay some card between the layers so the ink doesn’t run through to the back. Cut a slit at the top for your head. 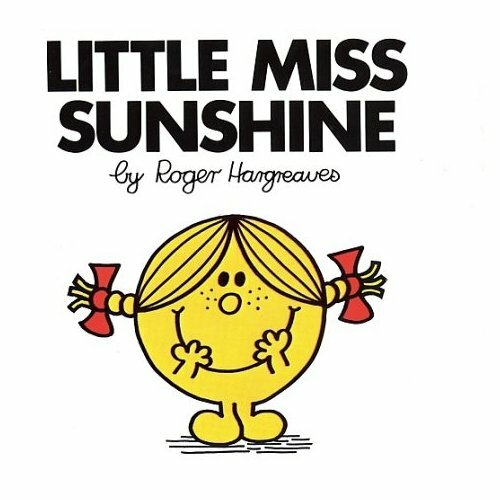 Little Miss Sunshine and the MnM are just variations of the same. Trace a circle (work out how big you can go for the size of the costume wearer) We made a compass with ribbon and 2 pens. Rather than painting, you could just use the correct colour card and maybe back it with some firmer cardboard, but we left this too last minute so had to paint. The yellow craft paint required a layer of white under it as it was too transparent alone to give you that very ‘bright’ yellow that LMS required. We hand drew LMS facial features with pencil then went over them again with black marker. The hair was cut from felt, but if you didn’t have any felt you could just draw the lines on for her hair (that’s all she has in the books anyway). The plaits are 3 pieces of felt, hot glued to the back of the card. We cut out before the final coat of paint. Finishing touches to the face. The MnM is much the same, but we used some templates for the facial features from this blog. Which made life much easier. I cut away the eye lids however and traced them back on so they were a consistent red. Then it was just a case of fixing some straps to the back so they could be worn hands free. For this I simply attached some ribbon to the back with ample sticky tape. Leaving a piece of ribbon hanging out the bottom, which was then stuck over the top in the opposite direction to avoid the ribbon sliding out of the tape. The ribbons were still firmly secured at the end of the day. Blow drying the paint to hurry up the drying process.